Banner from title page of al Qaeda in the Arabian Peninsula's new publication, Inspire. Al Qaeda in the Arabian Peninsula’s English-language publication Inspire, the first of its kind from an al Qaeda franchise’s media arm, follows a general trend within the al Qaeda network to expand its audience base to include English-speaking Muslims. The magazine includes justifications for a broader campaign of violence against the West through the use of smaller and more numerous attacks on common targets. This new tactic would likely be in addition to larger-scale operations traditionally used by al Qaeda franchises that generate fewer, but more spectacular, attacks. The articles in Inspire give those who wish to conduct solo attacks the capability to operate outside of the al Qaeda network by providing how-to manuals, including bomb-making instructions, and provided contact information allows recruits to connect to the al Qaeda network. 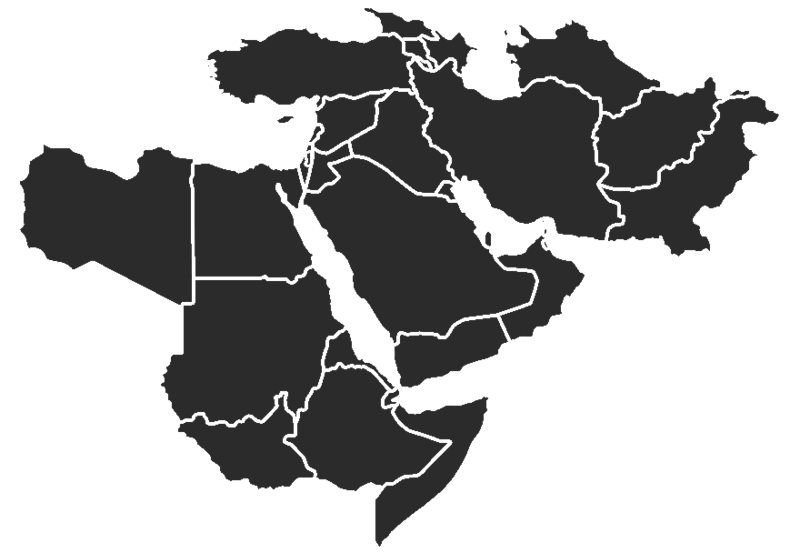 Al Qaeda in the Arabian Peninsula’s media foundation, al Malahem, published the first English-language magazine officially tied to an al Qaeda franchise on July 11, 2010. The publication of Inspire was not without its glitches – an attempt to publish on June 30 failed due to a virus that made all but the first three pages illegible. The debut issue is a fully-illustrated 67-page document that features an interview with al Qaeda in the Arabian Peninsula (AQAP) leader Nasser al Wahayshi and an article by the Yemen-based, radical cleric Anwar al Awlaki. The magazine also provides practical information for its readers, such as an article detailing how to make a bomb from regular household products and one explaining the use of encryption software, in a section entitled, “Open Source Jihad.” Two other sections, “History & Strategy” and “Stories,” focus on the violent jihadi experience and offer personal anecdotes from mujahideen. In addition, there are republished speeches and writings by major al Qaeda figures such as Osama bin Laden, Ayman al Zawahiri, and Abu Musab al Suri, which were translated into English, and a letter addressed to al Shabaab in support of the group’s activities. The impact of the publication of an English-language, al Qaeda-sponsored magazine has yet to be seen; however, conclusions can be drawn about AQAP’s strategy through an analysis of Inspire’s content and the target audience. AQAP has expanded its tactics to include a broader campaign of violence against the West defined by smaller and more numerous attacks on lesser targets. This would, presumably, be in addition to the large-scale campaign that traditionally focuses on the execution of major attacks. Contact information provided at the end of the magazine allows potential recruits to connect with organizers and to be brought into AQAP’s network. At the same time, AQAP has given those who wish to be “lone mujahids” the capability to function independent of the network and to engage in a campaign of violence through the inclusion of how-to manuals. The magazine’s general message, already radical in content, targets supporters of a radical form of Islam and justifies violence against the West under terms already accepted by radical Islamists. The targeted audience gains a justification for taking up violence in the name of Islam and the tools through which to accomplish this. By publishing in English, AQAP is continuing a general trend within the al Qaeda network to reach out to those who previously did not receive the al Qaeda message due to a language barrier. An opening letter from the editor explains the logic behind the issue of an English-language magazine as well as the goal of the publication. “In the West; in East, West and South Africa; in South and Southeast Asia and elsewhere are millions of Muslims whose first or second language is English,” writes the editor. “It is our intent for this magazine to be a platform to present the important issues facing the ummah today to the wide and dispersed English speaking Muslim readership.” AQAP recognizes that an English version of its message can reach a wider segment of the Muslim population that otherwise would not be exposed to its radical violent jihadi ideology. The goal for the magazine is to “[make] the Muslim a mujahid in Allah’s path.” The revival of jihad “in comprehension and endeavor is of utmost importance for the Caliphate’s manifestation.” The goal, therefore, is to motivate Muslims worldwide to engage in jihad and to provide them with the justifications and the means to carry out violent jihad. You do not need to exert great effort or spend a lot of money to make 10 grams of explosives, more or less. Do not spend a long time searching for materials as they already exist in your mother’s kitchen. . . . Make them (bombs) in the shape of a bomb you hurl, or detonate through a time or a remote detonater [sic] or a martyrdom-seeker belt or any electrical appliance. O Muslims, rise up in defense of your Messenger: a man with his knife, a man with his gun, a man with his rifle, a man with his bomb, by learning how to design explosive devices, by burning down forests and buildings, or by running over them with your cars and trucks. The means of harming them are many so seek assistance from Allah and do not be weak and you will find a way. The rights of the Messenger of Allah upon us are great and it is nothing for all of us to die for his sake; may our mothers be bereaved of us if we do not defend him. Not only did Wahayshi expand what targets should be hit, but he also expanded the means by which such attacks could be carried out. This sort of violent jihad differs from what Wahayshi previously advocated in that it does not differentiate between the values of targets; rather, it encourages a general campaign of violence against the West. …a resource manual for those who loathe the tyrants; includes bomb making techniques, security measures, guerrilla tactics, weapons training and all other jihad related activities. informal A disaster for the repressive imperialistic nations: The open source jihad is America’s worst nightmare. It allows Muslims to train at home instead of risking a dangerous travel abroad: Look no further, the open source jihad is now at hands reach. The magazine plans to give future mujahideen the tools and skills to operate effectively in this section. This, as noted in the section’s description, facilitates the pursuit of jihad by the common man and makes it easier for radical violent Islamists to train and prepare attacks at home. “Open Source Jihad” decentralizes AQAP’s operative methods by making information necessary to carry out attacks widely available to the readers of Inspire, limiting the need to make contact with an al Qaeda network. The average person now has the capability to execute an attack – no additional training is needed. This issue of Inspire provides directions for how to create a homemade bomb and how to send encrypted emails. The article, “How to Make a Bomb in the Kitchen of Your Mom” by the “AQ Chef,” gives step-by-step instructions on the construction of a homemade bomb and detonator, complete with illustrations. The materials needed are all readily available and the purchase of them would not raise suspicion, notes the AQ Chef. Furthermore, “In one or two days,” writes the AQ Chef, “the bomb could be ready to kill at least ten people. In a month, you may make a bigger and more lethal bomb that could kill tens of people.” The article suggests that more than one bomb be used simultaneously to maximize damage and says that this is but “one of many ideas for the lone mujahid.” A second article, “How to use Asrar al-Mujahideen: Sending & Receiving Encrypted Messages,” outlines the steps necessary to use a software program to improve the security of communications. A public encryption key is included in the “Contact Us” section of the magazine, which readers are encouraged to use in order to send emails to one of the four provided email addresses. Awlaki calls attention to a May 20, 2010 Facebook campaign, “Everybody Draw Mohammed Day,” that Molly Norris, a Seattle-based cartoonist, initiated. Her name, along with Lars Vilks, Flemming Rose, Carsten Juste, Girt Wilders, Salman Rushdie, Kurt Westergaard, Ayaan Hirsi Ali, and Ulf Johannson, is on a list that is “a hit list for the ummah to take out pertaining to the figures related to blasphemous caricatures” that appears just before Awlaki’s article, which provides an Islamist justification for their deaths. At the end of Awlaki’s article, a note informs the reader that Awlaki can be reached at any of the contact emails. Both the Fort Hood shooter, Major Nidal Malik Hasan, and the Christmas day bomber, Umar Farouk Abdulmutallab, were in contact with Awlaki prior to their respective attacks. Throughout the magazine there are statements in support of those who had executed or attempted to execute attacks. Wahayshi notes in his interview that Abdulmutallab’s attempt was a successful attack because he had passed through security undetected, instilled fear in the American people, and “open[ed] the door for many Muslim youth in the West” seeking to fight for Islam. Abdulmutallab, who earned the name “al Nigiri,” the Nigerian, is praised for his actions in a republished article stating that his attack was in response to U.S. action in Yemen and a poem is dedicated to him. A list asking Allah to free the Muslim prisoners at the end of the magazine included those who have been arrested over the past year for their roles in terrorist plots including, Abdulmutallab; Nidal Hasan; Sharif Mobley, who was arrested in Yemen for ties to al Qaeda; Colleen LaRose, or Jihad Jane; Faisal Shahzad, the Times Square bomber; and Carlos Amante and Muhammad Alessa, two New Jersey men arrested when boarding a flight to leave the U.S. for Somalia to fight for al Shabaab. AQAP’s inclusion of these names indicates its broad support for their actions and provides would-be terrorists with a sense of solidarity and proof that they would be memorialized for their actions. Inspire presents both forms of violent jihad, operation-oriented and battle-based, as valid means by which a Muslim’s obligation to wage jihad, defined in this case to be jihad against the West, can be fulfilled. Both Wahayshi and Awlaki justify a more expanded version of the operation-oriented form of jihad in which targets are no longer limited to major Western government infrastructure or symbols, but includes any target in the West because everything works to support a single system with which Islam is at war. The English-language publication breaks down barriers to recruitment: it provides radical Islamist ideology in a commonly understood language and it provides the necessary knowledge and skills to executing solo attacks or connecting to the al Qaeda network. AQAP’s release of Inspire shows an adoption of new tactics in its strategy and the promotion of an open campaign of violence against the West.